You are here: Home / exercise / Is ADHD Really a Lack of Ritalin or Is There a Safer, Healthier Solution? Is ADHD Really a Lack of Ritalin or Is There a Safer, Healthier Solution? Attention Deficit Hyperactivity Disorder (ADHD) has been called an epidemic. So many school-aged children are diagnosed with this disorder that the term epidemic seems mild. The journal Atlantic1 showed research where they believe this is nothing but a lack of exercise. The studies conducted at the University of Illinois found that kids who took part in a regular physical activity program showed key enhancement of cognitive performance and brain function. Since many school budgets have not allowed for Physical Education (Phys Ed) classes, it makes sense that if this is correct, we could see a reversal of the common treatments for this disorder with a return to regular physical activity initiatives in schools. Unfortunately, though, Phys Ed remains underfunded and not prioritized throughout the country. And in light of such developments, it looks like ADHD is more of an epidemic of inactivity than anything else. Physical activity is clearly a very high-yield investment for all kids, but especially so for hyperactive children. This is major news. Recent data from the Centers for Disease Control and Prevention show that 15 percent of high school-age children have been diagnosed with ADHD. And the number of children on medications to relieve the symptoms of ADHD is astronomical, having soared to 3.5 million currently from only 600,000 in 1990! Billions have been spent on such drugs, with more than $13 billion spent on ADHD medications each year — not to mention all the associated costs with treatment! Last year a very similar study2 in the Journal of Attention Disorders found that just 26 minutes of daily physical activity for eight weeks significantly reduced ADHD symptoms in grade-school kids. 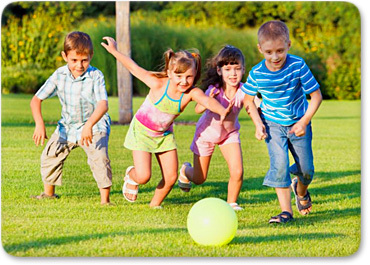 Pilot Physical Activity Intervention Reduces Severity of ADHD Symptoms in Young Children. Journal of Attention Disorders. January 2013 17: 70-82, first published on August 25, 2011.